The children of a neverending summer jumping off a stepladder into the ocean. As adults, life can come at us hard. Children remind us to live in the present moment. They clearly define mindfulness by the way they live. 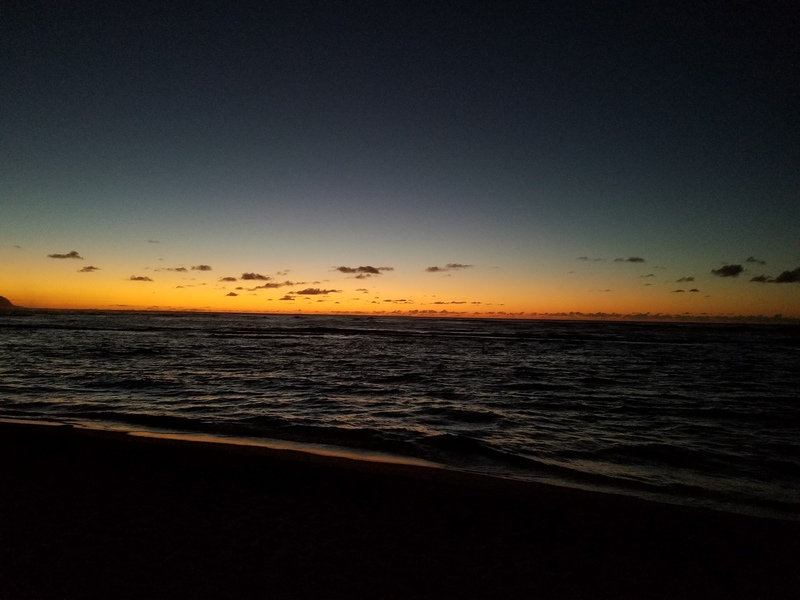 Beautiful Haleiwa, Hawaii with my friend Mike who added comments on the moment. We reminisced when we were children. We could relate on how these children felt, not wanting the moment to end, playing until the last drop of sunlight. 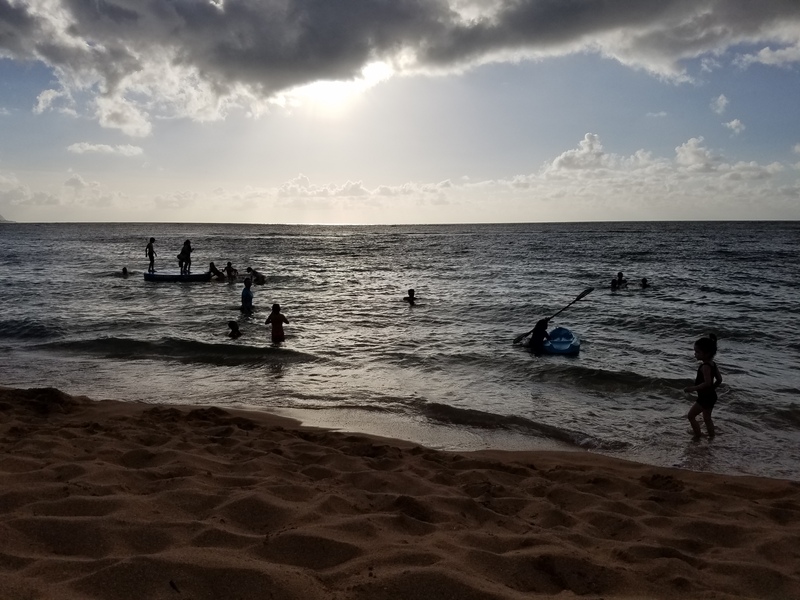 Children playing at Haleiwa Beach, Hawaii on June 29, 2017. Ocean therapy. How many more sunsets do we have left? If we could count them, we would change the way we see today, and truly understand how lucky we are to be in every moment. I would wake up with a smile and love you even more, attack my passionate goals, and always make an effort to experience new things. Of all the things in the world, my time with you would be the most important. I would do this every day until the orange glow tells me that I must say goodbye. At that point, I would hug you so I can cherish every second until my last breath as I fade away into the darkness.